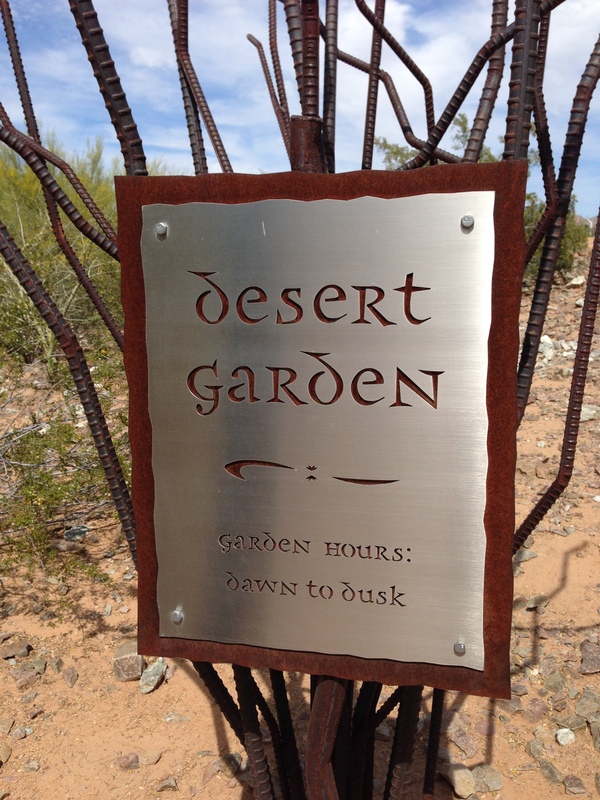 The Desert Discovery Guide invited us to enjoy three zones along a trail that led out from the Scottsdale Senior Center: a hummingbird nest, a saguaro and bat sanctuary, and a butterfly garden. 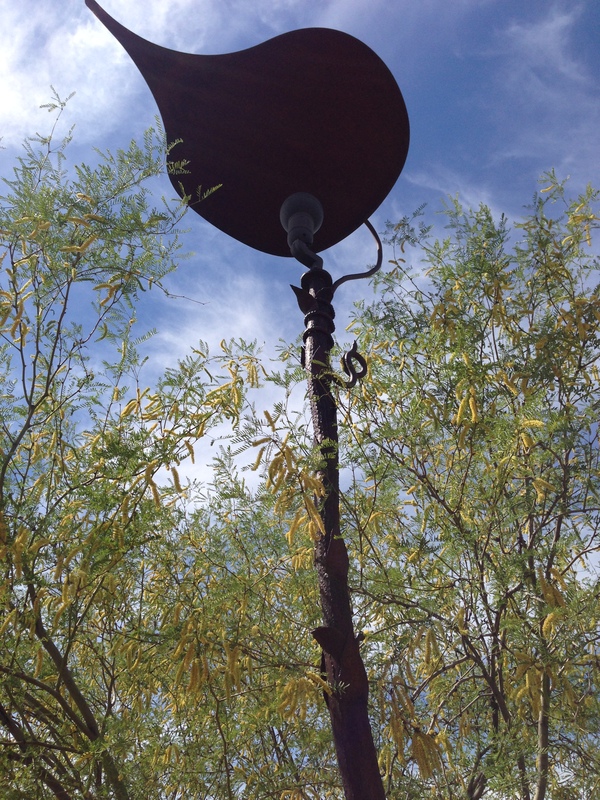 I foresaw bliss ahead, an afternoon of hummingbirds, bats and butterflies, all in one swooping, fluttering place. 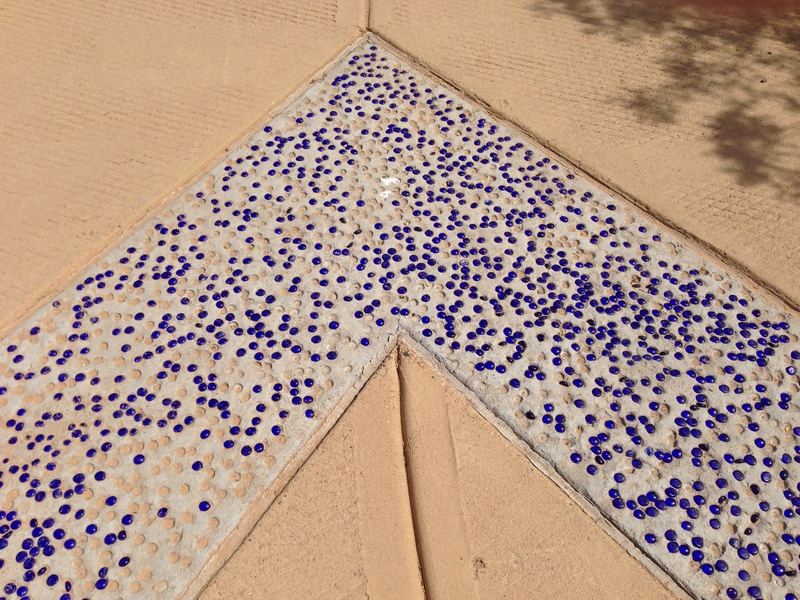 We just had to follow the gleaming glass-embedded arrows. They look like jelly beans, said my mother. 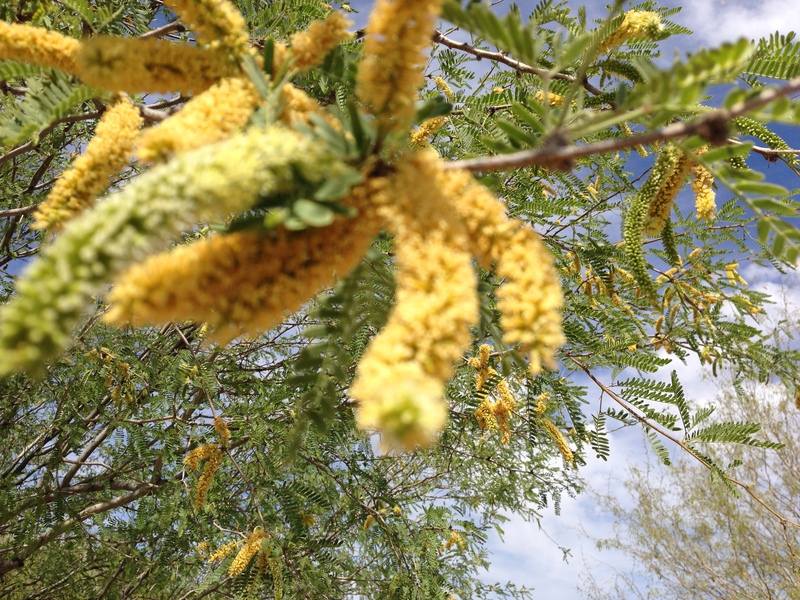 The mesquite dangled over our heads. 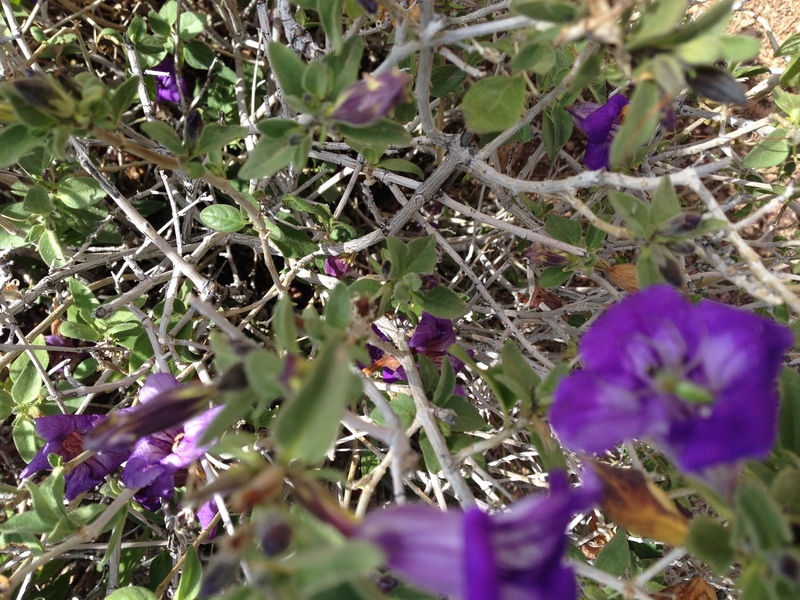 Desert blooms along the way tantalized us. They would be perfect for butterflies, wouldn’t they? 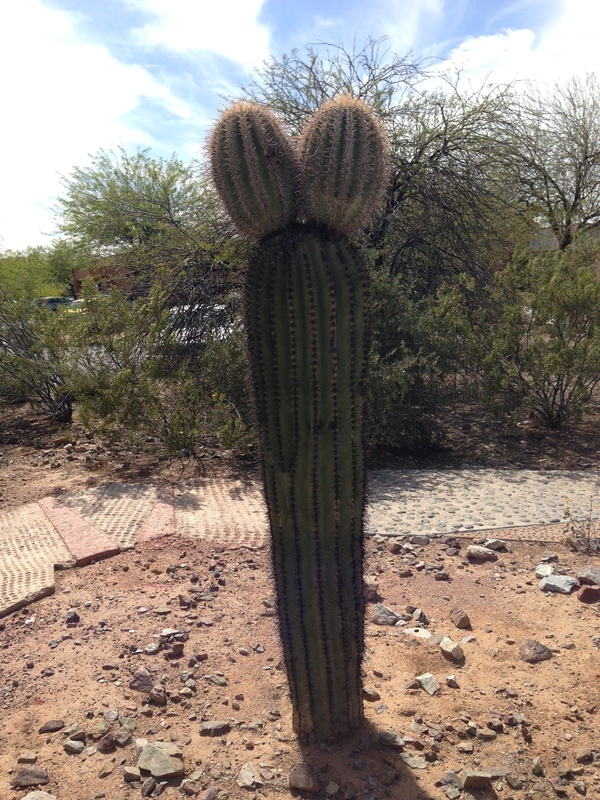 There was a monstrous twin-headed cactii. A bat home! Where were the bats? Saguaro are unlike any other plant, said my mother. All the others follow a regular pattern. Not so the saguaro. 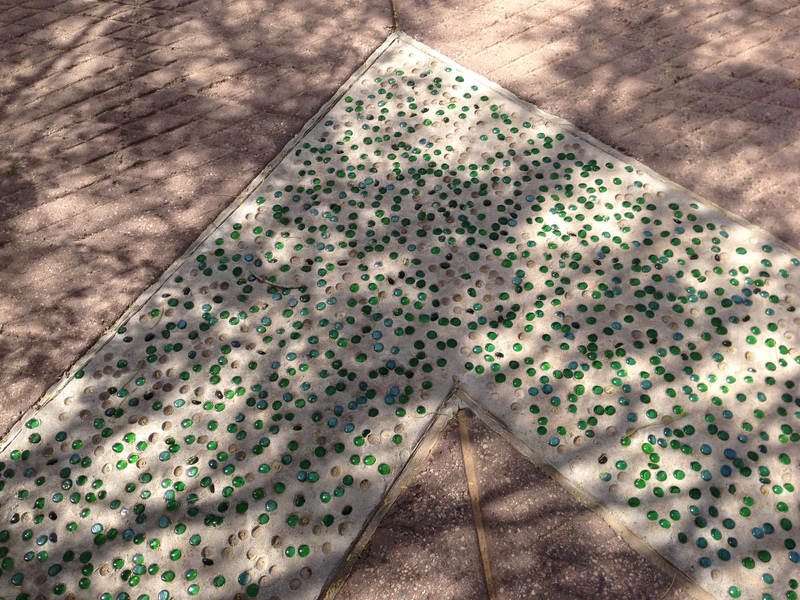 Walk, walk, follow the arrows. All around, mallow, the peachy-orange blooms that hummingbirds love. Not a hummingbird to be seen, though, in a nest or out. No sanctuary for bats, no garden for butterflies. A trail to nowhere, with plants in bud, an empty picnic table, a tall metal sculpture standing alone. 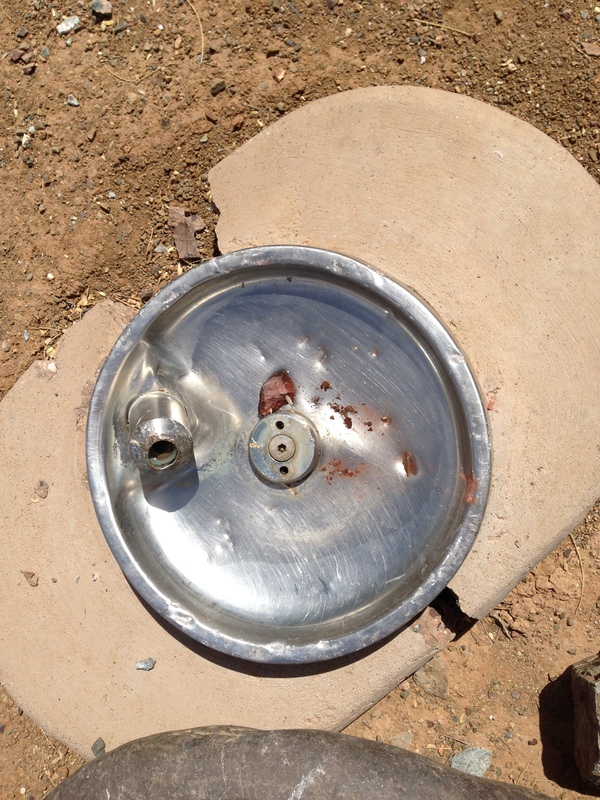 But a kindly elf had constructed an ingenious dog fountain on the dirt, activated by paw pressure. 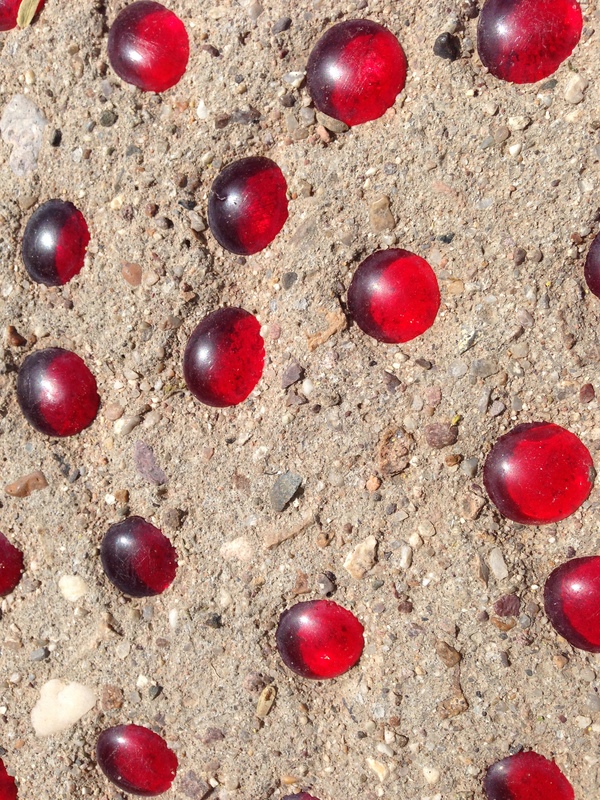 We went in hope of something and came away emptyhanded, but for a handful of jellybeans and thorns. Sounds like Easter is on its way.